One of the biggest challenges confronting foster youth is, what happens when they age out of the foster care system at age 18? Although equipped with their high school diplomas, realistically most of these teens are not yet capable of living fully independently and thus remain at risk and underserved. 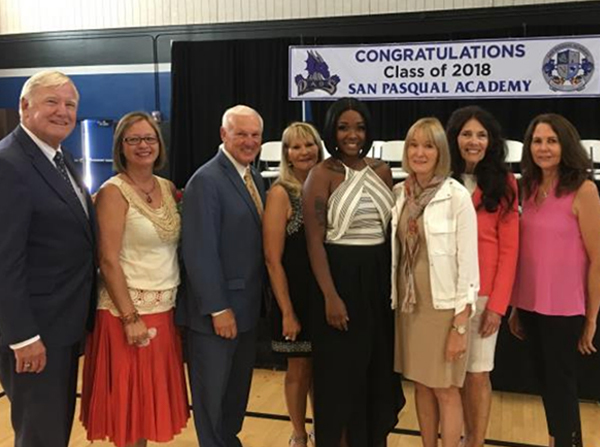 Recognizing this void, Friends of San Pasqual Academy established two programs to support our graduates as they continue to transition to independent living. San Pasqual Academy graduates learn independent living skills through the Alumni Housing Program, open to all graduates, with up to 24 months of housing and resources in a supportive environment on the same grounds as the Academy. Graduates learn and practice independent living skills they will need in the "real world," with the security of knowing that Academy staff is available to provide support and guidance on the road to independent living within a community who embraces them and whom they have come to know and trust as family. The program allows graduates who have no family in their lives and are attending college out of the area to return to campus during breaks and holidays. The Alumni Housing Program also helps those students who need housing after graduation as they attend a trade school, a vocational program, or work. 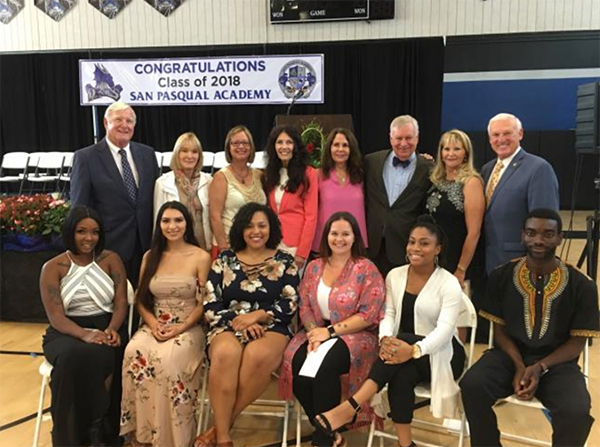 The graduates of San Pasqual Academy have the opportunity to attend college, trade schools or other vocational institutions. This is made possible due to grants and scholarship programs that have been established specifically for these graduates. Palomar College, Cal State San Marcos, Cal State Fullerton, San Francisco State, UC Davis, Humboldt State, University of Colorado, Boulder, UCLA, and Stanford are just a few of the many institutions that our San Pasqual graduates are now attending or have graduated from. If you would like to participate in Friends of San Pasqual Academy Scholarship Program, please go to our website and click Make A Donation on the left side of the home page. You may also email us at FriendsofSPA01@gmail.com or call (858) 759-3298 for more information. Friends of San Pasqual Academy is recognized as a not-for-profit 501 (c)(3) (Tax Id 20-0296623).